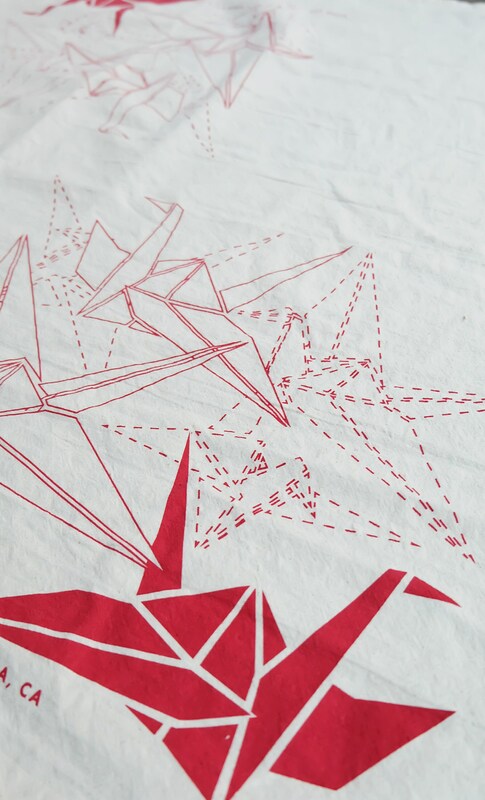 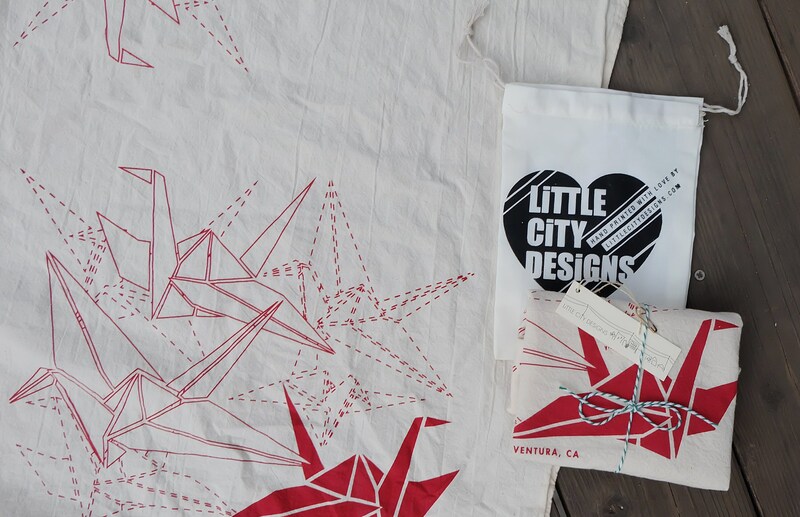 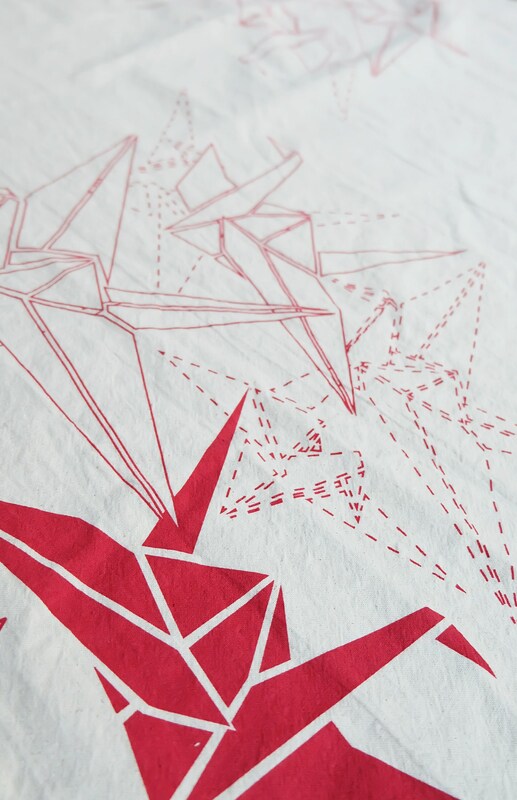 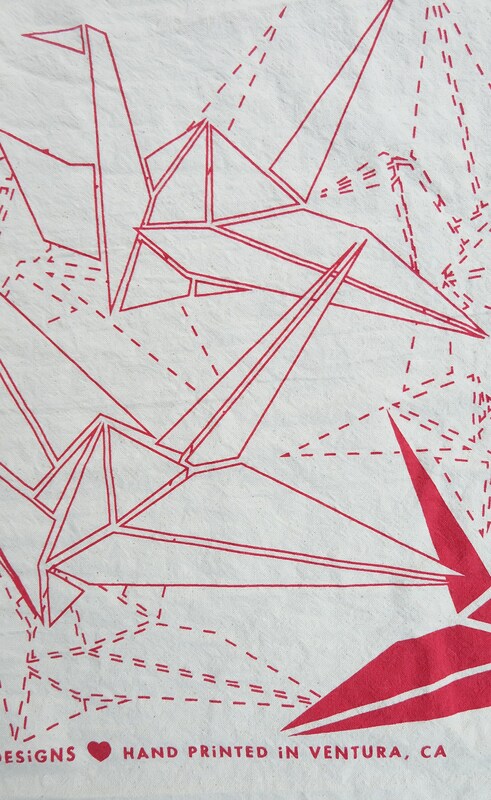 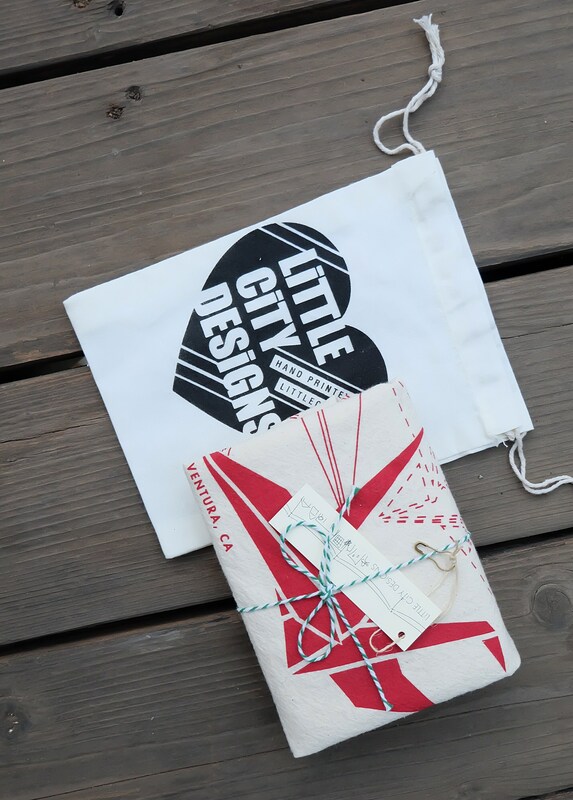 These natural cotton flour sack tea towels are hand printed with our original Paper Cranes design. 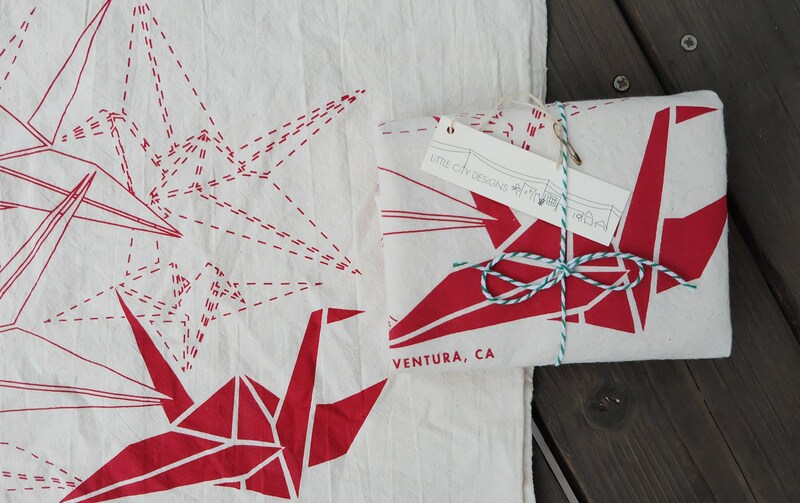 Our hand printed flour sack tea towels are the ideal kitchen accessory -- they beautify and they clean! 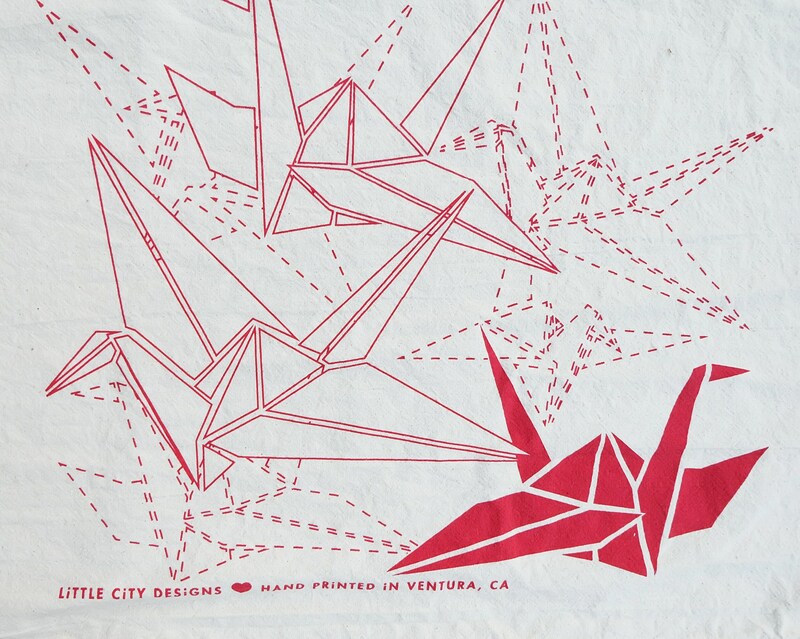 Measuring approximately 28" x 29", they are printed by hand using nontoxic, water based inks. 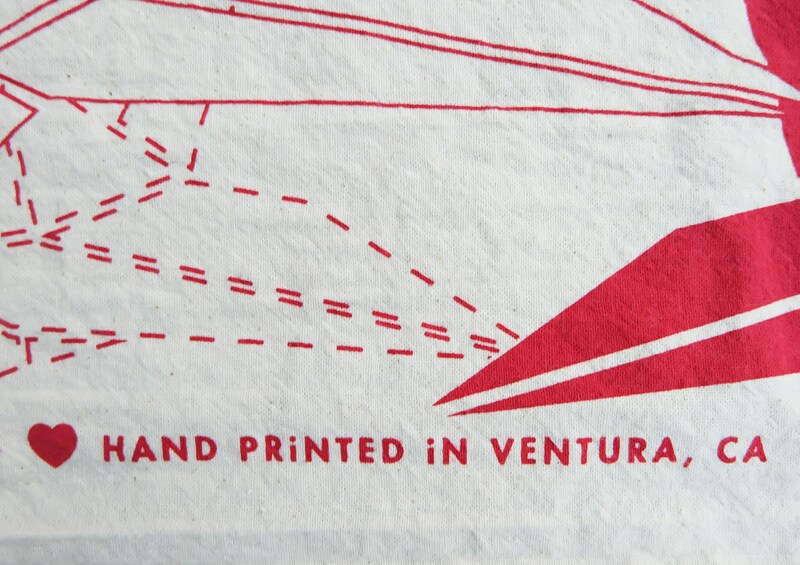 This listing is for a set of two. 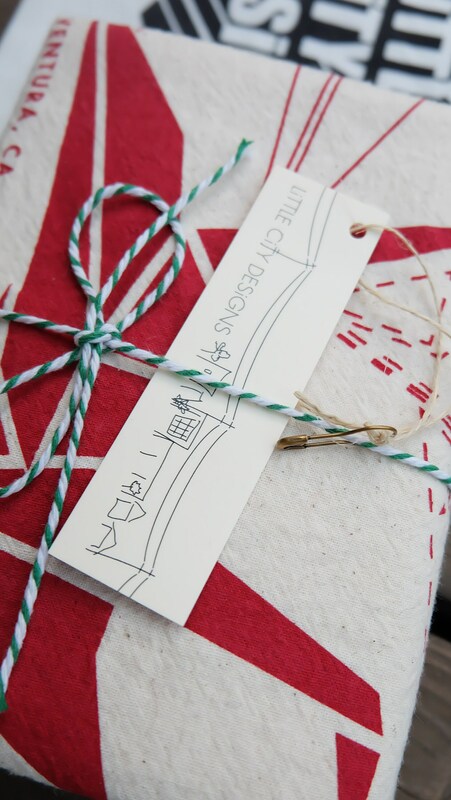 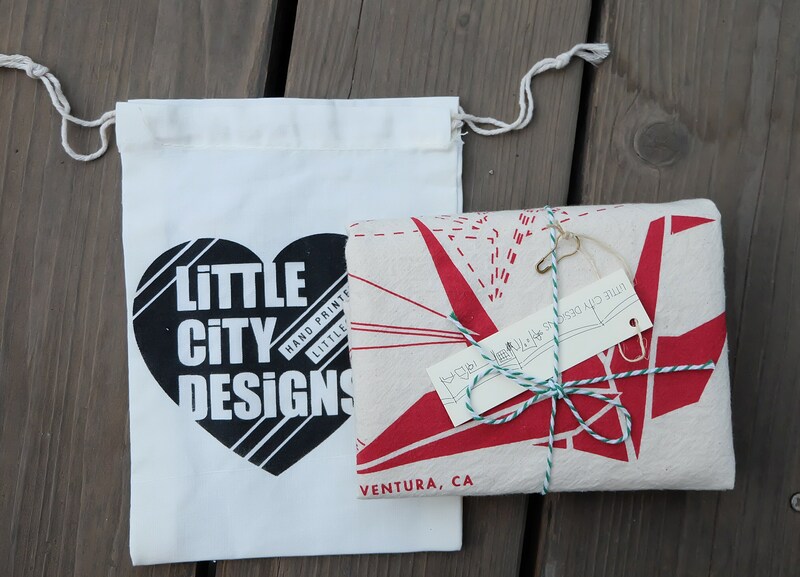 They come packaged in an organic cotton, reusable drawstring bag, hand printed by yours truly (designs on complimentary gift bags may vary).